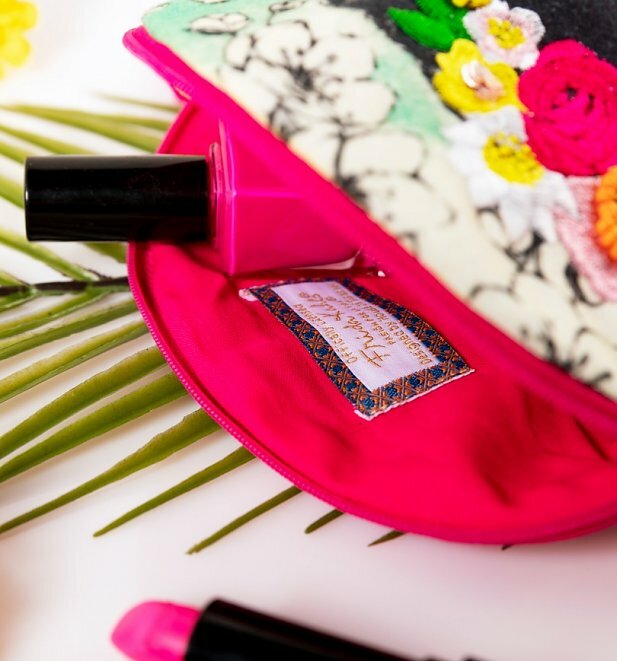 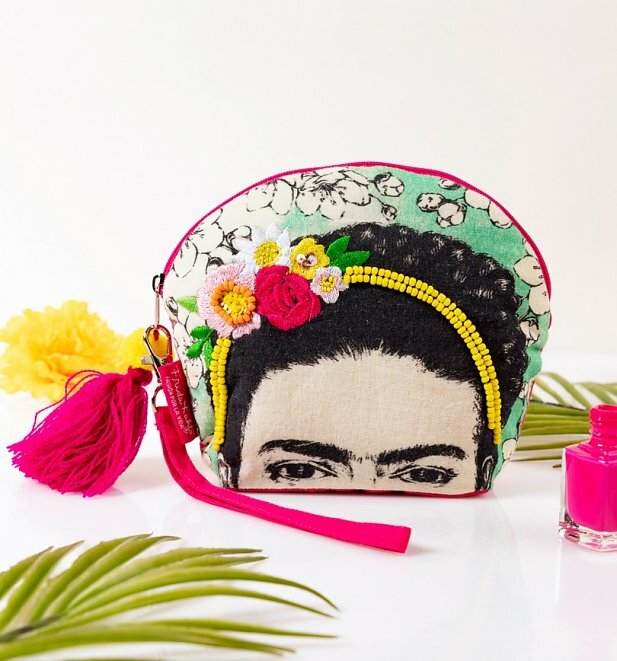 Evoking the vibrant colours and patterns of Mexico and inspired by the work of the iconic artist Frida Kahlo, this cosmetic bag will brighten up any dressing table or bathroom. 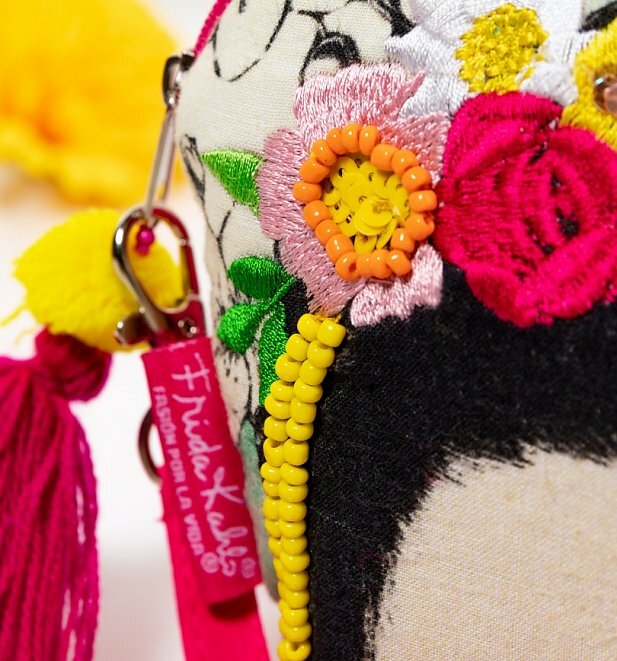 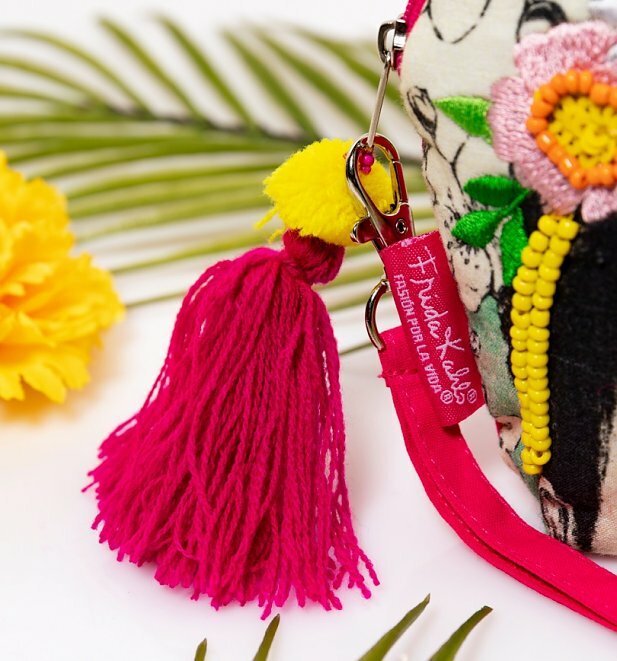 Complete with punchy yellow and orange beading, rich floral embroidery and a smattering of sparkling sequins, the bag also features a printed image of Friday Kahlo and a bright cerise tassel zip puller. 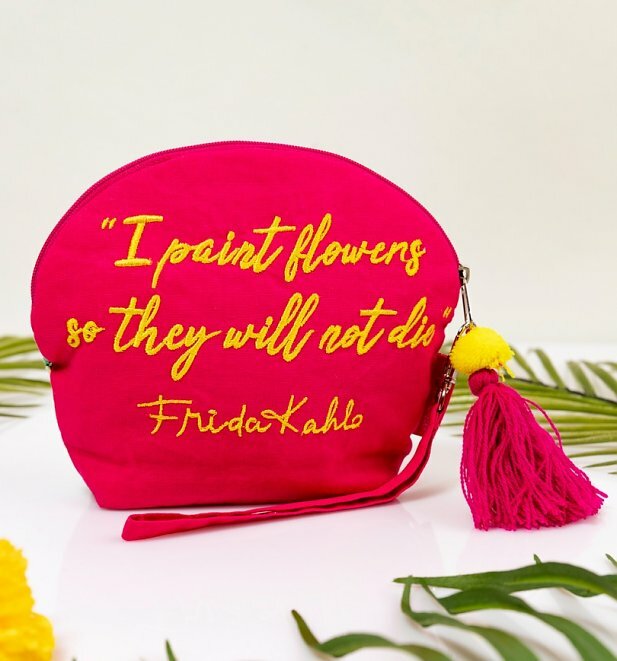 The Kahlo quote 'I paint flowers so they will not die' has been embroidered on the back of the bag, adding a beautiful finishing touch.